Congratulations to 2d Lt Matthew Gast, who just earned his Commercial Glider Pilot rating. On 25 October, Lt Gast completed his checkride with DPE Dan Gudgel, after training with his CFI, 2d Lt Terence Wilson at C83. Next up for 2d Lt Gast? Working on his CFI rating. Then we’ll have 2 CFI-Gs in our squadron! 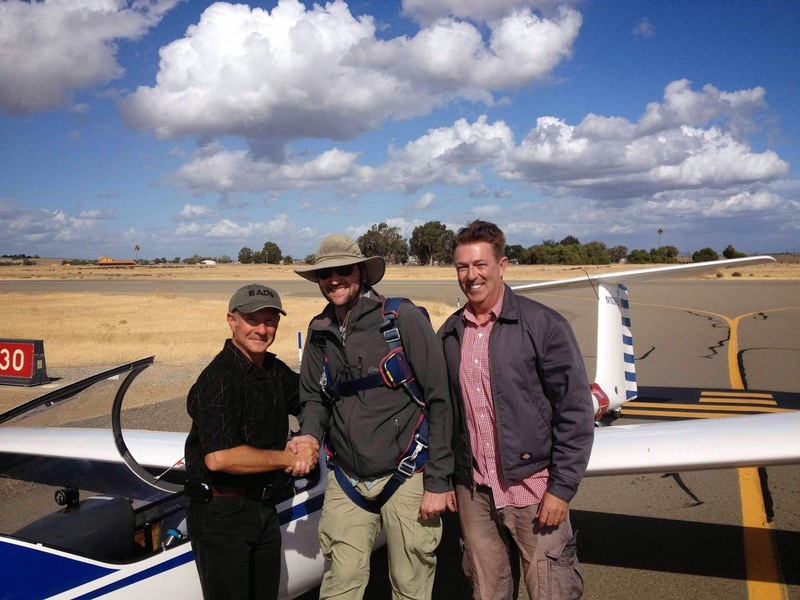 Besides flying gliders out of Byron, both Lts Gast and Wilson have been involved in CAP’s glider program (click here to see a recent description of glider O-Rides at Byron). Since CAP does not own many nearby gliders, the program relies on the support of and relationship with the Northern California Soaring Association (NCSA). Based at Byron airport, the NCSA is in an excellent position to support local CAP squadrons. The NCSA club has been in existence since 1947 and currently has half a dozen CFI-Gs (although I don’t think any of them were teaching when the club was founded!). You’ll be able to meet someone at the club almost every weekend, although a part of the glider fleet is repositioned to Truckee and Minden each summer, to take advantage of the excellent soaring conditions there. In addition to being able to fly the NCSA gliders, squadron members now have an additional resource: California Wing recently got a Super Blanik from the United States Air Force (click here for a description of its assembly at Byron). Both Lts Gast and Wilson have offered to take squadron members for intro flights – so what are you waiting for?